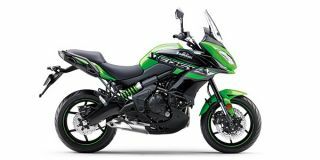 After witnessing the touring trend in the Indian motorcycling scene, Kawasaki brought the Versys, which is a more touring friendly version of the already capable Ninja 650. Useful features like a tall windscreen, comfortable ergonomics and the high seating position makes the Versys an effortless mile muncher. The addition of ABS is a welcome move, particularly for a premium middleweight motorcycle. The Versys is priced at INR 6.6 Lac, ex-showroom, New Delhi.